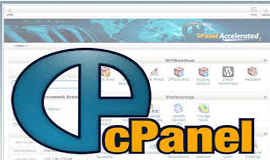 cPanel is by far the most popular and used web hosting control panel in the world today. cPanel along with Fantastico Auto Installer makes building and managing a professional website easy! Instantly install popular scripts like Wordpress, Drupal, phpBB, Classifieds and many more using Quick Install, included with all cPanel Web Hosting Packages free! Bring your own domain with you, you'll just need to make a small name server change with your domain register. Don't Have a Domain Name Yet ? My Auto Dj offers instant Domain Name Registration and competitive prices.